We take a look at the abstracts of three patents filed by Microsoft around dual-screen devices and apps optimised for them. As if the crafts teacher in school had just asked everyone to take their smartphones and find a way to fold it in half, all the smartphone and tablet makers are suddenly reporting their progress in various ways: Samsung recently reaveled the long-awaited Galaxy F foldable smartphone at its Developer Conference. A while before that, little-known Chinese phone maker Royole showcased the FlexPai, a fully developed folding smartphone. 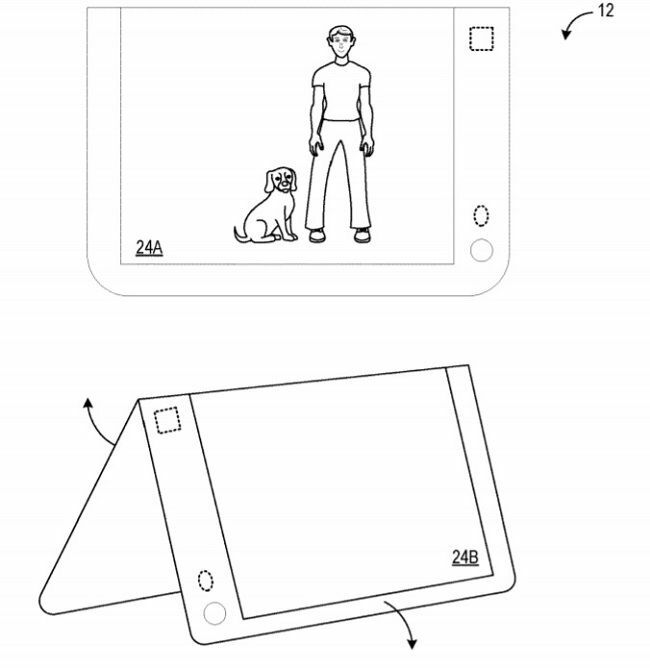 Now, a stroll around the United States Patent and Trademark Office (USPTO) reveals that Microsoft has its own ideas for folding devices and apps that run on them. 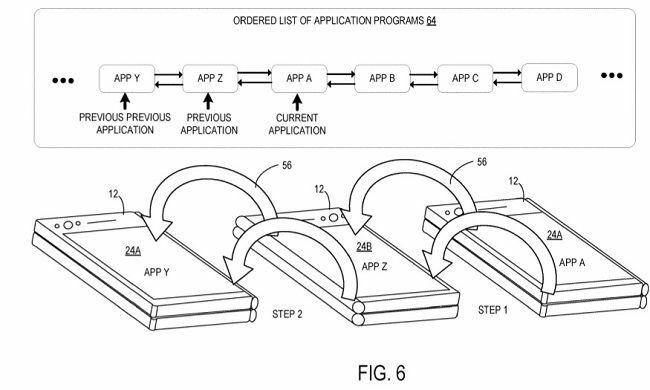 Microsoft’s third and last patent, which is titled, “APPLICATION LAUNCHING IN A MULTI-DISPLAY DEVICE” talks about apps that are specifically optimised to run on a dual-screen tablet. 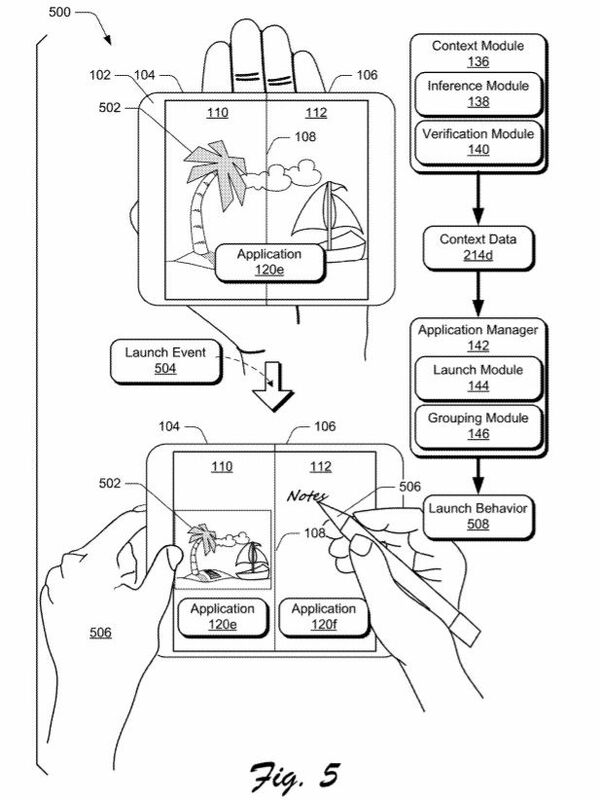 The abstract of the patent says, “Techniques for application launching in a multi-display device are described. In one or more implementations, an apparatus such as a mobile device includes multiple interconnected display devices. According to one or more implementations, techniques described herein enable application launching behavior to be determined based on context information. 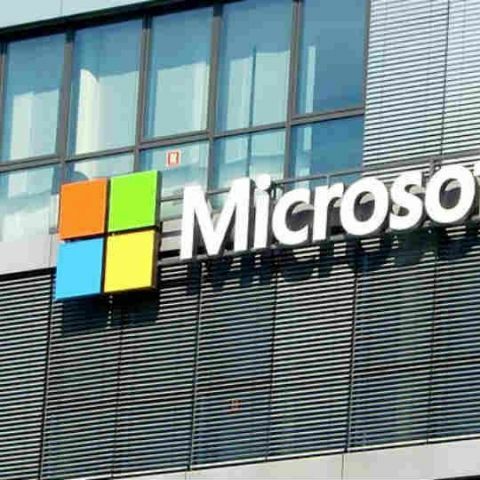 For instance, based on a determined context condition of a multi-display client device, an application launch behavior is determined and used to launch an application on the client device.” Only time will tell if Microsoft has any solid plans of actually launching a dual-screen device. Will it be another Surface? What do you think?